Reagan said "Tear down this wall," and they tore it down. And he saw that it was good. 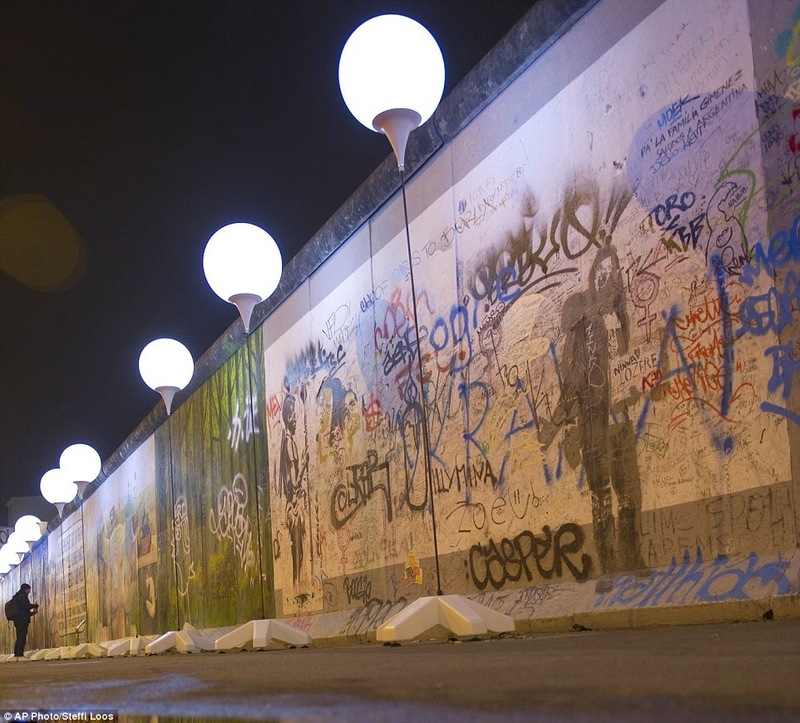 The fall of the Berlin Wall, 25 years ago today, was a major milestone in the war against Communism. The fall of the world's largest labor union, The Soviet Union, two years later was another. I'd recommend the movie, Goodbye Lenin, if you haven't seen it. A lighthearted look at an East German family as the wall fell. Marion Smith is the executive director of the Victims of Communism Memorial Foundation in DC. He wrote in Friday's WSJ: The Berlin Wall Fell, but Communism Didn’t. Check it out. As important as the fall of the Berlin Wall was, it was not the end of what John F. Kennedy called the “long, twilight struggle” against a sinister ideology. By looking at the population statistics of several nations we can estimate that 1.5 billion people still live under communism. Political prisoners continue to be rounded up, gulags still exist, millions are being starved, and untold numbers are being torn from families and friends simply because of their opposition to a totalitarian state. 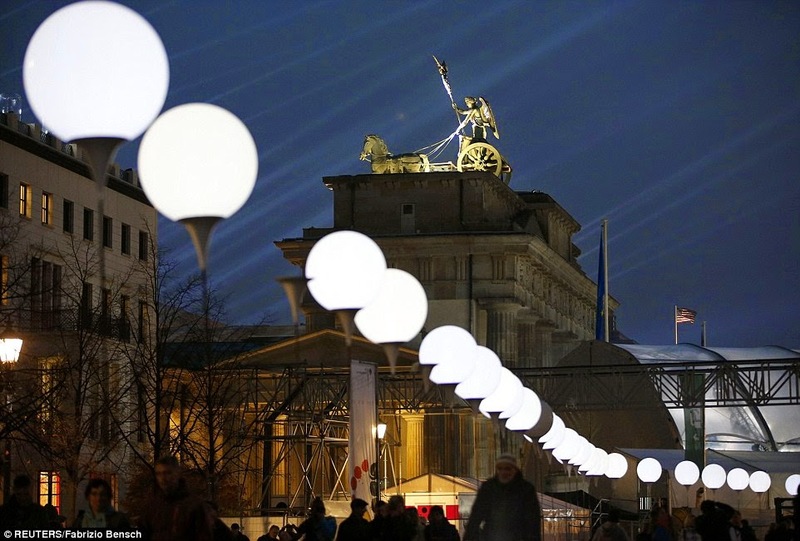 DailyMail has posted some great photos of the Berlin 25-year celebration: Wall of light: 8,000 glowing balloons recreate the route of the Berlin Wall, 25 years after it fell. The memorial will be my first stop during my next visit to DC. I hope that it is not just a Soviet and China museum, but instead presents the all-important and ongoing lesson of evil, and the power of envy and resentment. Another Reason video (2-min) of yesterday's celebration.